There’s nothing I enjoy more than being able to hang out with and grow with my peers. The icing on the cake is when all of those peers not only work in my discipline, but in the exact same industry as me, Higher Education. This was the case this past week as I attended the College & University Professional Association, Human Resources (CUPA-HR) National Convention and Expo in San Antonio Texas. More than 900 Higher Ed HR folk descended upon the Alamo to fellowship and grow professionally. I had the pleasure as serving as the “Social Media” team and I was afforded the opportunity to host an event on the River Walk for Young Professionals. As a first-time attendee, I felt as if I blended right in and was able to benefit from every event and session. 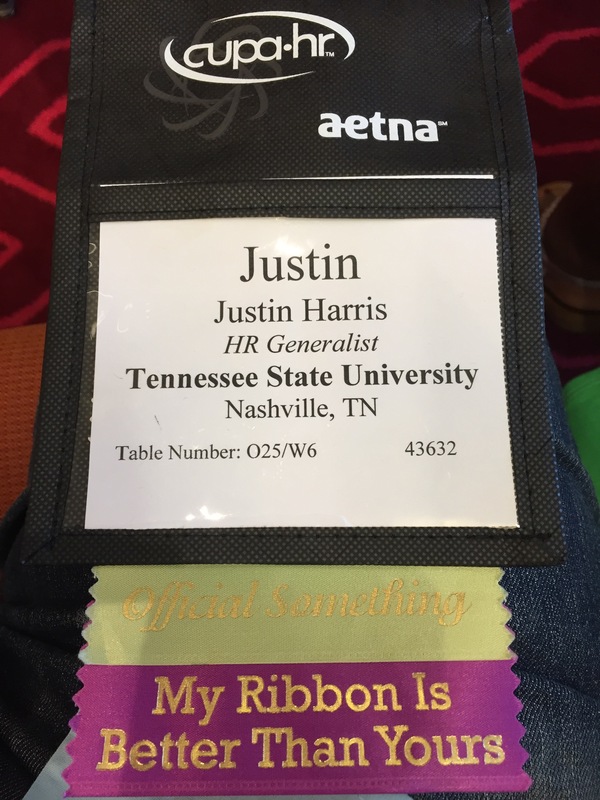 Check out my Day One and Day Two blogs about the conference at the CUPA-HR site! Special thanks to the staff at CUPA-HR for trusting me with their Social Media coverage and for believing in my ability to help make other first time attendees feel welcome. I’ll definitely be seeing you all again in Orlando next year for #CUPAHR15! This entry was posted in CUPAHR, Human Resources, Networking, Social Media and tagged business development, CUPAHR, HR, networking by Justin Harris. Bookmark the permalink.